Note: Prior to following this tutorial, if you have not done so already, sign up for Netflix via a PC internet browser. This makes the process significantly easier, as signing up for Netflix via the Apple TV app requires a US iTunes account connected to a US credit card. For Apple TV customers looking to gain access to other Netflix regions, the primary option available is a Smart DNS service, like Unblock-Us. Most Smart DNS services require a paid subscription, but are able to offer access to multiple different Netflix regions at the click of a few buttons, greatly enhancing the range of content available. Smart DNS technology was designed with streaming media in mind and works by re-routing a customer’s DNS queries through a proxy server. As a result, services like Netflix are tricked into thinking the customer’s internet activity is coming from the location of the proxy server, rather than from the customer’s true location. Due to the fact that Netflix automatically detects regions and does not allow for manual region switching, this is the best method of unblocking the service. Smart DNS does not adversely affect internet speed and only impacts services that are supported. This means that other browsing is unaffected by the re-routing process. Go to ‘Settings’, then ‘General’ and select ‘Network’. Select the connection type you have (e.g. WiFi, Ethernet). If you are connected by WiFi, you will need to select your wireless network and enter your WiFi password if prompted. Go to ‘Configure DNS’, select ‘Manual’ and enter the DNS settings you were given by your Smart DNS provider. Then confirm the numbers you entered on the ‘Network’ screen. Go to ‘Settings’, then ‘General’ and choose ‘iTunes Store’. Go to ‘Location’ and then select ‘United States’. Return to the main screen, go to ‘Settings’ and then choose the ‘Sleep Now’ function. Unplug the power cable from the Apple TV and leave it unplugged for at least ten seconds. Plug the power cable back in and start the device up again. Upon completing the steps above, users should be able to download the Netflix app and gain access to content from the region they have selected via their main Smart DNS account. Not enough providers? Youll find a in depth comparison of the best SmartDNS for AppleTV Devices on this website. 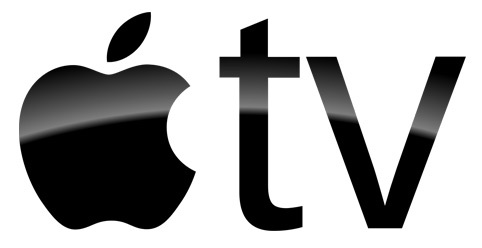 Another option available to Apple TV users is a Virtual Private Network service. VPNs work in a similar way to Smart DNS, in that data is re-routed to a server. However, unlike with Smart DNS, all internet traffic is encrypted and tunnelled to the server, while the user is given a new IP address. VPNs have advantages over Smart DNS in terms of both privacy and security. In addition, users who are with an Internet Service Provider employing DNS hijacking methods can use a VPN to get around the problem, whereas Smart DNS services will not work for them. However, a major disadvantage is that VPNs result in a slower internet connection, which is not ideal when streaming content. Moreover, because Apple TV’s software is relatively simple, the device has no built-in way to connect to a VPN. This means that the setup process is more difficult than with Smart DNS. Nevertheless, there are ways to get around this problem and services like ExpressVPN, VyprVPN and CyberGhost offer good Apple TV support. Essentially, Apple TV users looking to unblock Netflix with a VPN have two main options: either connect the device to a flashed router, or connect it through WiFi or Ethernet cable to either a PC or Mac. Instructions for installing a VPN’s client software onto a PC, Mac or router will be found on the individual websites of VPN providers. Connecting Apple TV to a PC or Mac is the easiest method of using a VPN with the device and makes for a relatively simple setup process. Again, individual VPN providers will offer guides on how to do this. 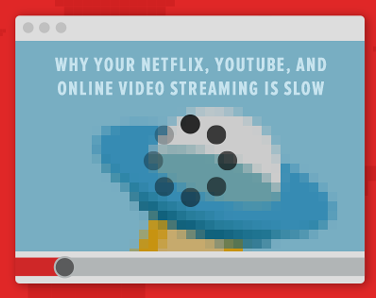 However, it may result in a slow connection, which, when coupled with the lag VPNs cause, might make streaming unreliable. In terms of performance, connecting the Apple TV to a flashed router is the preferable option, although it is more complicated, as flashing a router requires a reasonable level of technical knowledge. That said, pre-configured routers can be purchased and some VPN providers sell them with their software pre-installed.